Certified organic or wild crafted mean that the herbal ingredients were grown and harvested without pesticides, herbicides, synthetic fertilizers, or ethylene oxide gas. These chemicals are very bad for your nervous system. Ethylene oxide gas promotes cancer - it is a mutagen and can cause birth defects. 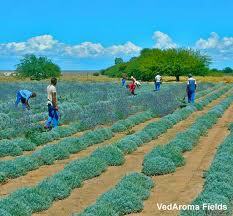 Wild crafted herbs are grown wild and harvested without chemicals. This also implies that the herb was grown away from toxic areas such as landfills or highways. 3 & 4. We sell in bulk but can deliver a packed good. We guarantee that the ingredients in the delivered good is certified organic with approved certifications. 5. We do not use heat in our drying or packaging process or any other process, therefore we preserve the plant nutrition. 6. We do not add flavorings to our herbal products. Some manufacturers will add flavorings to their products for various reasons. Some may say to help preserve the product, or make it more palatable. The reason you want to be concerned with is that flavorings can hide the true ingredients in the product.